As a property owner or property manager, you need all the assistance you can get. Your business’ security, however, is a task you want to delegate to a reliable source. Our previous blog 7 Reasons Your Property Needs Access Control, discussed some of the benefits of obtaining an access control system. In this blog, we want to get to the nitty gritty of discussing how the system operates. Are you ready for the next step? Let’s begin with the basic components. First, we have the access cards, key fobs, and keypads. Most people are familiar with access cards. Physically, these cards feel and look like a standard ID or credit card but they work as an electronic key when inserted into the card reader. The key fob has a similar function, but instead of being inserted, it is held at close proximity to the reader. In appearance, the key fob is similar to a car open/lock remote control and can be placed along with the rest of your keys. Lastly, the access control keypad uses numeric keys. Each person needs to physically enter a code to be granted entry. Because all three devices are connected to the access control server, the server’s manager can make adjustments at any time. For example, let’s say you manage 10 different properties. In each property, you have two individuals that have keys but you want each person to have access only to certain areas. With an electronic key, you can customize each card. Both people can have access to the front doors; but one from 8:00 a.m. to 5:00 p.m. and the other from 5:00 p.m. to Midnight. In addition, access control can be placed inside the building. Some people who inquire about access control inside a building want to limit access to a room where they have expensive equipment. The main idea is that as the manager, you control the “brain” of the access control system. This computer software serves as the central database for the access control system. It records the system’s activity, including signals or codes of any malfunction. Once each card is setup, you don’t have to worry about wasting time trying to contact someone to open the door or losing a key that grants access to your valuables. If a card or key fob is misplaced, it can be deactivated right away and replaced. Certain capabilities of an access control system can also be modified remotely with your smartphone. If it doesn’t work well, it is the same as if you didn’t have one. You don’t want to wait until there is a break in to take charge of your business security. 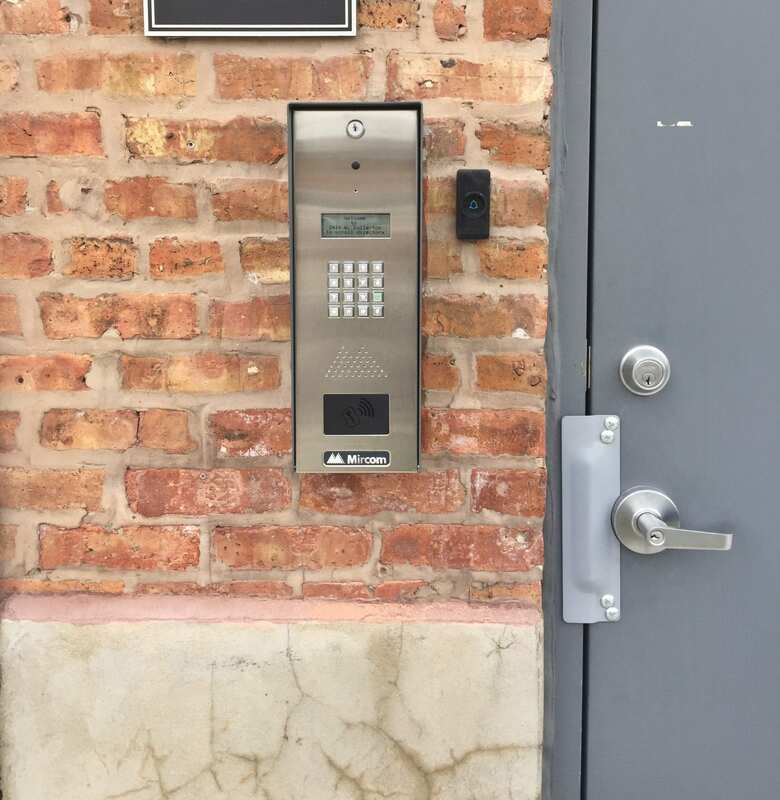 An access control system can be a useful tool to manage your property during the day and night hours. Consider scheduling a survey of your site and discuss your needs; most security companies will make a proposal in accord to your budget. next post: How to Find the Right Camera System for your Business?